What’s more important than a healthy, happy child? Not much. Just ask any parent. Our schools—and especially, physical education instructors—play a very important role in the health of our children. But do you, as a teacher, have the skills and knowledge you need in this important field? The Praxis Health and Physical Education Content Knowledge Exam measures the knowledge and skills teachers bring to the classroom in their specific area of study. The test is meant for beginning teachers. Who should take it? How many questions are on it? What does the test cover? Here, we answer many of those questions and offer something that’s very valuable – insights into a study guide that can help you prepare and succeed. Who should take the Praxis Health and Physical Education Content Knowledge Exam? Teachers interested in physical education in grades K-12 should take the test. Candidates generally have a bachelor’s degree in one of several health-related specialties, such as health and physical education. Each state has its own test requirements, so you should check with your state before taking the exam. How many questions are on the test, and what does it cost to take it? There are 130 questions in two categories – health education and physical education. There is a $120 fee to take the exam. The health education section contains a total of 58 questions on health education discipline, instruction, and content. Candidates will be tested on a host of topics, including, major health behavioral theories; effective communication with school staff; learning needs assessments for individuals and diverse groups; nutrition; stress management and coping skills; personal hygiene; interpersonal communication; health-related careers; and more. The physical education section contains 72 questions covering several topics, including, student growth and development, management, and student assessment. Topics covered in this section include anatomy and physiology; the effects substance abuse has on students; factors that affect learning; motivating students to participate in physical activities inside and out of school; promoting positive relationships; effective communication; feedback; safety and injury prevention guidelines; and more. The test may contain questions that will not count against your final exam score. The test contains a number of different question types. Candidates will be asked to either write a response; select a response from a list; or via numeric entry (place a numeric value in the answer field). How long does the Praxis Health and Physical Education Content Knowledge Exam take? The test takes 130 minutes. It’s test day. What should I bring to the test center? Please bring a valid photo ID. Candidates are also allowed to bring an approved calculator. Are there items I won’t be allowed to bring into the test center? You cannot bring any personal items, such as handbags, briefcases, pens, or scrap paper. Electronic devices such as cellphones are also prohibited. Please note that not all testing centers have secure storage areas, so that’s something you will want to take into consideration. 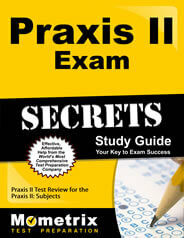 How do I know if I’ve passed the Praxis Health and Physical Education Content Knowledge Exam? Each state sets its own passing score, so please check with your state. Depending on the test you take, some scores might be available immediately, while others will take two to three weeks to receive. Test scores will be available online. What if I can’t take the test? Can I get a refund of my fees? Candidates who cancel at least three business days before their test date (not including the test day) are eligible for a refund of 50 percent of the fees paid. So, you’re excited to take the test because this is what you want to do in your career. 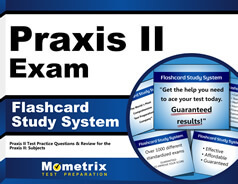 But you need help in finding the best, professionally-developed study guide that can help you prepare for, and pass, the Praxis Health and Physical Education Content Knowledge Exam. We’ve got you covered. Mometrix offers the tools you need to succeed. Our study guide and flashcards are best in class, developed by test researchers who are top professionals in their field. We have used their insights and skills to develop a system that covers the areas and subjects you will be expected to master on the Praxis Health and Physical Education Content Knowledge Exam.